Sports injuries are those which are related to sports practise. Some of the most common ones are: tendonitis, fractures, strains, bursitis and sprains. These type of injuries may affect the elite sportsman, but they can also affect anyone who makes some type of physical exercise. 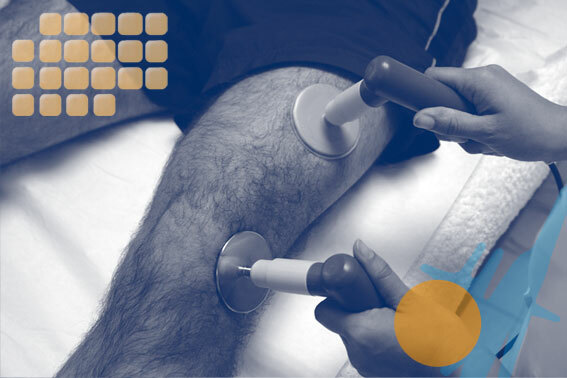 Capenergy is indicated in the treatment of sports injuries with a high degree of satisfaction. In the following picture, we can observe the ecography of the thigh of a sports player. 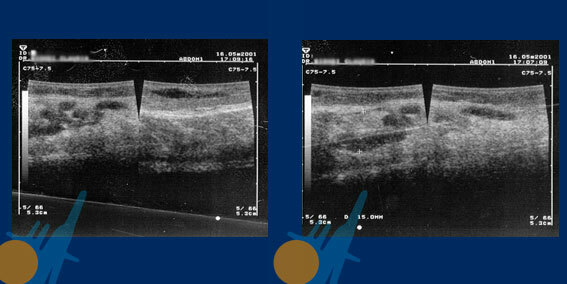 The picture at the right- hand side shows the existence of fibrosis in the muscle (medial calf) before the treatment. The picture at the left-hand side shows how most of the existing fibrosis has disappeared after only six sessions of Capenergy therapy in a 20-day time period.